Not so long ago, we tackled some of the best spots for your wedding decor needs from hangers and wedding signs to gifts and balloons. Today we’re taking a peek at the best places to head to if you’re after some beautiful bridal bling in the form of jewellery, accessories, belts, garters, shoes and everything else that makes your wedding wear absolute perfection! We’re lucky to have some amazing bridal jewellery and accessories stores dotted around the country (and online) so if you’re on the look out for some gorgeous finishing touches to complete your bridal look, be sure to stop by some of the below! As well as stocking the much loved Eliza and Ethan multiway bridesmaid range, Alila have a host of stunning evening gowns and parties dresses – perfect for wedding guests, day after parties or bridesmaids, as well as some ridiculously pretty accessories. You’ll find everything from statement heels to sparkly clutches, brooches, sashes, diamante earrings and both beautiful timeless pearl necklaces and some statement pieces as well. Head over to the online store here! Allure is based in Sligo but you’ll be glad to hear you can pick up their amazing pieces online as well! This award winning store is a treasure trove of glamorous pieces for bridal parties and wedding guests with designer handbags, bridal jewellery, and exquisite crystal and pearl headpieces including bridal headbands, vines, combs and hair drapes. As well as gorgeous jewels, you can pick up bridal brollies and parasols if you’re worried about the rain or want a little extra shade. They also specialise in bespoke pieces so can create something beautiful and unique, just for you if you can’t find what you’re looking for. Check out the collection here! Irish company Bridal Brooch Bouquets by Ann Cassidy are brooch bouquets experts that can create an incredible sparkly creation, tailored to your requirements. The bespoke handmade bouquets feature a range of sparkling contemporary and vintage brooches, pearls and individually hand made satin roses in the colour of your choice. And they can work with any special pieces of jewellery you’d like to include or can create something unique and amazing to fit in with a theme. Check out Ann’s creations here! Crystal Daze specialise in Bespoke Bouquets, Corsages and Boutonnieres so if you’re after something extra special be sure to take a peek at their gorgeous designs! They can tailor make bouquets and button holes to your exact requirements using amazingly realistic flowers with beautiful details such as diamantes and pearls if you wish – and as they’re made from fabric, you can look forward to holding on to them forever (and even passing them on to your kids or someone special). They can also create beautiful centrepieces – check out their portfolio here. 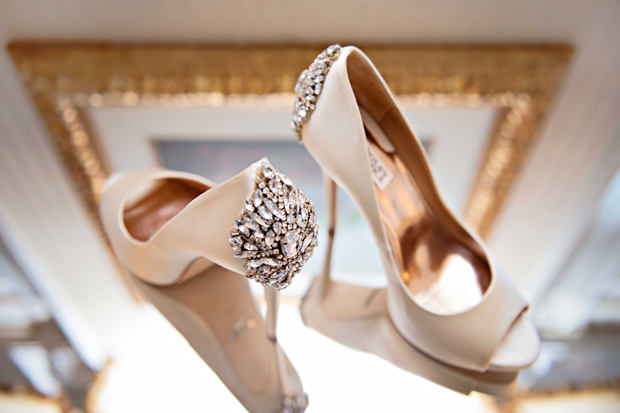 If you’re on the hunt for some divine designer shoes for your Big Day, look no further than the stunning Badgley Mischka beauties stocked in Dublin Bridal House. They have a range of seriously dreamy ivory heels for brides that want shoes as pretty as their gúna and they’ve lots of other gorgeous finishing touches as well including pretty vintagesque hair combs, vines, hairbands and glitzy necklaces, brooches and bracelets. Pop over for a look here! Ear Sense specialise in earrings for sensitive ears with some beautiful offerings for both brides and bridal parties! Their collection includes over 200 different styles of earrings with Austrian Crystals, Pearls and Cubic Zirconia styles, and both contemporary and classic designs. The earrings are made from a proprietary titanium alloy and contain no known allergens so you can be safe in the knowledge that your new earrings look amazing, and there’s no risk of break outs. Take a peek at their styles here! Fitzpatricks Veils Of Ireland stock a beautiful collection of handmade wedding veils in a variety of lengths and finishes as well as tiaras. This family run business has over 40 years of experience behind them in the wedding business – all veils are designed and made right here in Ireland from the finest and highest quality tulle with everything from floor-length chapel numbers to elegant elbow-skimming styles in both single and double tiers. They also have a bespoke service for brides who are after a one-of-a-kind piece and offer an alterations service (in Wexford) where you can have your bridal dress fitted in the comfort of your own home. See their collection here! 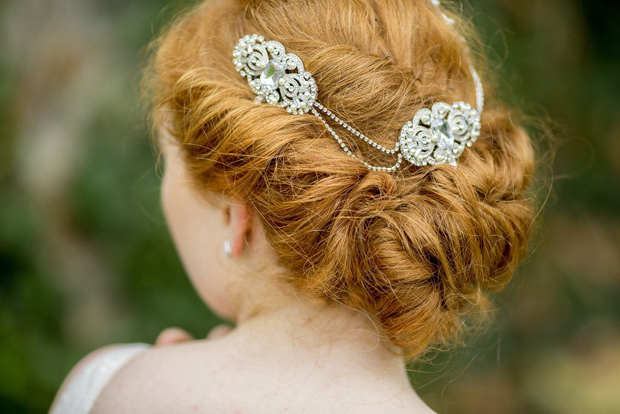 Florio Designs are home to beautiful handmade bridal accessories for both you and your girls. 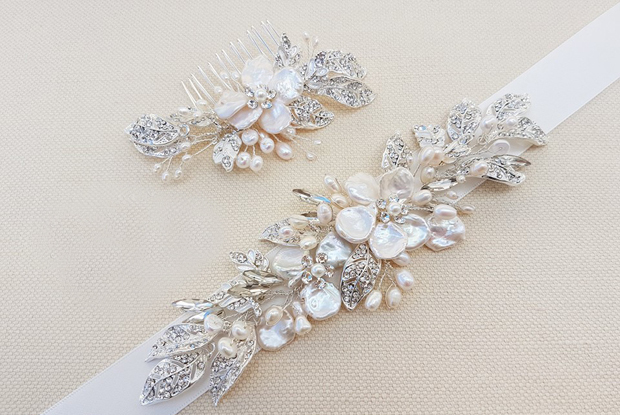 They specalise in handcrafted jewellery such as pearl bracelets and swarovski drop earrings as well as bespoke bridal hair pieces including combs, tiaras, hats and feather fascinators and incredible brooch bouquets for brides after a serious glitz fix. They can create exquisite brooch bouquets using both old and new brooches as well as pearl and diamante details and feathers and fabric. They’re also experts at creating stunning satin flower fabric bouquets if you’re after something creative and unique! Check out their designs here. 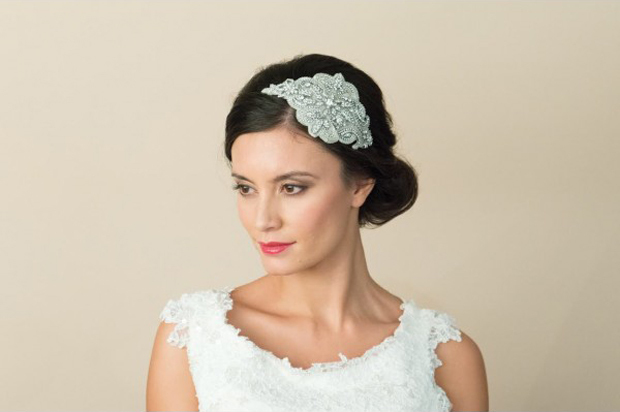 If you’re the crafty sort and are looking to create a beautiful hairpiece or pick up some fabulous embellishments to add a little extra sparkle to your bridal look, you’ll find some gorgeous options at Hickeys Fabrics. Hickeys is well known as the go-to spot for an incredible selection of fabrics but you’ll find tons of opulent trimmings too that would make perfect belts, sashes and headpieces. They’ve also got an excellent array of jewels, sequins and diamante details if you’re looking to put together some hair accessories. Check out Hickeys Fabrics here. This online store has a private showroom in Blackrock in Dublin as well if you fancy getting up close and personal with their exquisite jewels. Jules Bridal Jewellery stock luxurious pieces for brides and bridesmaids after those perfect finishing touches with everything from glamorous bridal belts and necklaces (both fine and statement pieces) to dazzling chandelier style and intricate pearl earrings, bracelets, browbands, brooches, garters and stunning bridal headpieces inducing vines, combs and pretty vintage inspired birdcage veils. They also take on custom commissions if you fancy something bespoke and extra special. Take a peek at the collection here. As well as looking after your stationery and decor needs, Lantz Weddings have some lovely accessories for couples with everything from quirky cuff links for lads looking to bring some personality to their wedding wear as well as wedding socks for guys printed with Groom, Best Man, Father of the Bride etc. They also stock garters, planners and great gift ideas too including champagne flutes, flip flops, keepsake boxes and mugs. Take a look at all their wedding goodies here. Fashion & Accessories designer Aija Kapoor is the creative behind the exquisite selection of accessories available at new online haven, Magnificence Bridal. Magnificence Bridal specialises in bridal and occasion wear accessories and has all those essential finishing touches with an abundance of sparkly bridal hair accessories, belts and sashes, headpieces, garters, jewellery, wedding gloves and veils, all of which are handcrafted using the finest materials available. Every item is handmade with impeccable attention to quality in every detail so you can be sure you’re getting something special. Take a peek at the collection here! McElhinneys Department Store is a popular spot for Mother of the Bride outfits and of course wedding dresses themselves, but they’ve heaps of gorgeous accessories as well for brides and bridal parties. You can pick up fab bridal accessories to complete your look such as Lilly Bella belts, beautiful jewellery, garters, clutches and wedding shoes as well as bridal undergarments. They also have a stunning range of bridal headpieces and veils – birdcages, traditional tiaras, stylish hair bands, fabulous fascinators, decadent side combs and veils with designs from Halo & Co., Richard Designs, Emily Jean and Linzi Jay. Check out a selection of their accessories here. 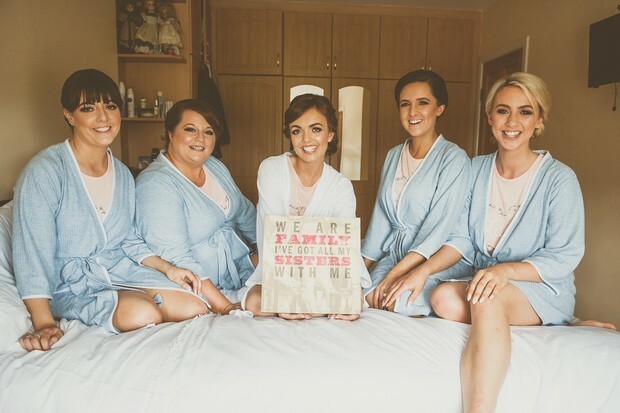 This online store has a base in Donegal too if you and the girls fancy a fun day out – they stock everything from wedding dresses and bridesmaid dresses to accessories, wedding shoes and some great little finds on the decor front. Pearls & Lace Bridal Boutique have an array of divine bridal accessories including Lilly Bella belts, glamorous pearl and diamante clutches, sparkly and pearl detail jewels, a range of hair accessories from vines to glitzy combs and wedding shoes and beautiful shoe clips if you’re looking to make a plain pair of pumps extra special. Check out their collection here. 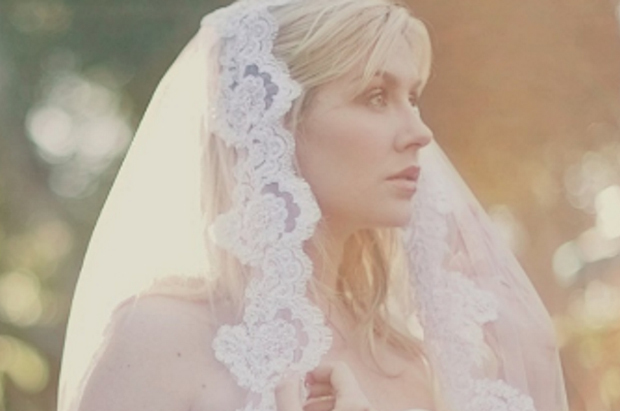 SimplyVeils.ie have been in the bridal industry for over 20 years and are a fab source of beautiful Irish wedding veils. At Simply Veils you can choose from their stunning veil collection or they can design and create a custom veil just for you. All of their wedding veils are made to order so if you fancy a bit of added sparkle, they can add some diamantes for you! 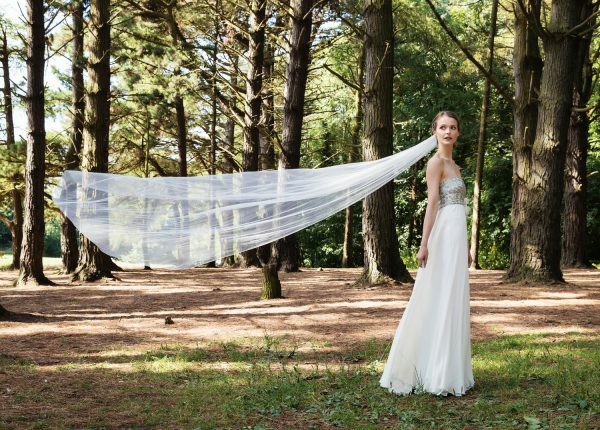 Whether you’re after a floor length show-stopper such as a Chapel or Cathedral veil, or a more manageable piece like a Fingertip or Elbow Veil, you’ll find lots of amazing options online and in store. Check out their veils here! Talented Irish milliner Sophie Hunter specialises in gorgeous handmade hats, fascinators and hair accessories for brides, wedding guests and mothers of the bride. Pieces can be made to order and dyed to match your ensemble so you don’t have to worry about traipsing about finding the exact shade! Whether you’re looking for an extravagant floral number with tulle netting, a beautiful ivory creation with statement bow or a pretty sequin pillbox number, their pieces will give it serious wow factor. Sophie is based in Drogheda, Louth and her pieces can be spotted on celebs both in Ireland and internationally. See Sophie’s pieces here! 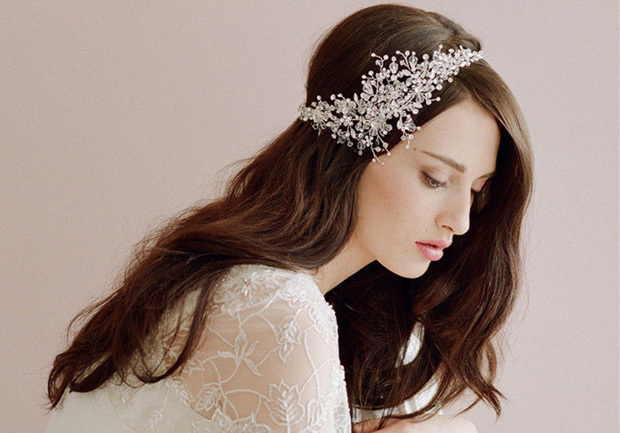 If you’re on the look out for bridal accessories and gifts, the treasure trove that is The Lovely Little Label should definitely be on your hit list. They adore all the little details that make an outfit and you’ll find plenty of gorgeous pieces here – they specialise in bridal jewellery and accessories with both trend led and classic styles. You can pick up beautiful statement earrings, vintage inspired headpieces, luxurious bridal slippers, gorgeous garters and pretty floral robes and cute makeup bags if you’re looking for thoughtful gifts for the girls. They also have a fab selection of wedding umbrellas and have great package deals if you’re after a bargain. Check them out here. Twice as Nice has been supplying stunning and unique pieces to Irish brides for over 30 years. 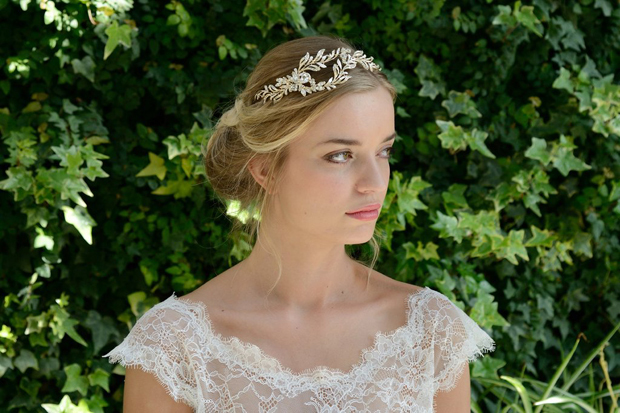 They stock a wide range of beautiful bridal headpieces, from combs to hairbands and tiaras for both brides and maids with intricate designs from the subtle to the dramatic. You can pick gorgeous jewellery too for everyone from brides to mothers of the bride looking for those final finishing touches – the boutique and online store are renowned for their genuine antique jewellery, as well as vintage, classic and modern designs. Pop over to Twice as Nice here. If you love your glitz, you’ll be spoilt for choice over at Wedding Belles Bridal Accessories & Gifts. This online haven has everything you could possibly need to complete your bridal look including hair accessories, bridal belts, bags, garters and jewellery, wedding gloves, faux fur stoles, veils and fascinators for you and the girls. And if you’re after some pressies or wedding decor, they have some great buys too including countdown signs, Champagne glasses, hip flaks, colouring books for the little ones and gorgeous guests books. And if you’re worried about rain making an appearance, you can pick up some fab bridal brollies here too for you and the bridal party! Check them out here.